For The First Time Daniel Reveals About Aishwarya & Vaishnavi !! SHOCKING !! Bigg Boss Tamil is a reality show hosted by Kamal Haasan that has been successfully running for two years continuously. The second season of the show had 16 contestants at the start, while there are only 7 contestants left after 85 days of competition. Balaji is the only male contestant left in the house as of now. 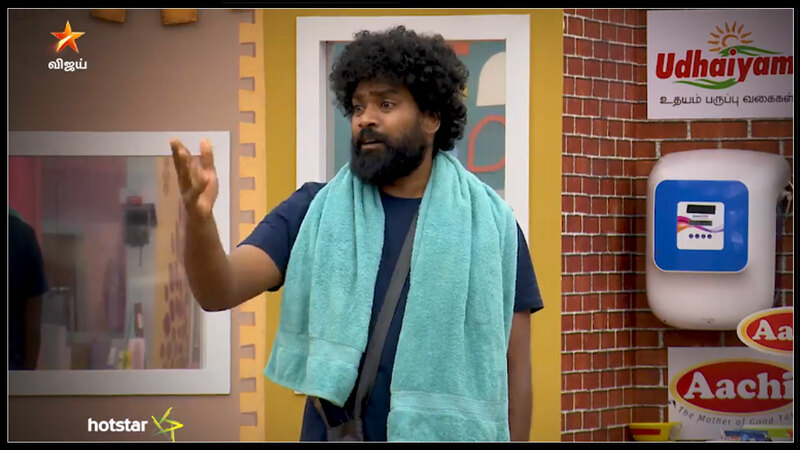 Talking exclusively to Behindwoods, Daniel Annie Pope revealed a few secrets about the Bigg Boss House. He said: “Vijayalakshmi entered the house after 65 days of competition, and people inside the house were scared because she knew the pulse of the audience till then. Daniel Annie Pope shot to fame with his role in Idharkuthaane Aasaipattai Balakumara, where he was seen as Vijay Sethupathi’s friend. He was eliminated on Day 77 of the event, which is the 11th week. He was also seen in Oru Nalla Naal Paathu Solren. Previous articleWoman Police Officer Sexually Harassed By Higher Official !! FIR Against Him!! Next articlePeople From Tamilnadu Trolling The Post Of MODI From 2012 !! He Talked About Massive Petrol Hike !! Actor Srikanth Casted A Fake Vote & Posed In Social Media !! Getting Brutally Trolled By Social Media !! Vijay Devarakonda Wants This Hero To Play For Sun Risers Hyderabad !! Check Why ! !